If you're tired of your job, working for others and making them money, and you want to start your own business, then this book is for you! 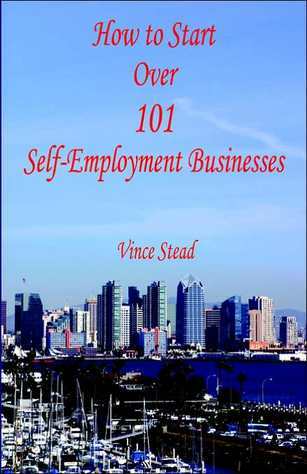 Even if you don't have tons of money to start a big business, there is something in this book for just about everyone, who wants to start their own part-time or full-time business, working for themselves! This book will give you many ideas of how you can start a business and head you in the right direction of what lots of them are and how to start and market them to make money. If you pick any of these businesses to start, or have your own ideas of a different business, then this book will motivate you to get started right away. This book contains lots of various businesses that almost anyone can start, and you can make it as big as you want to build it up to. If this book gives you one different way to look at things, or gives you a better idea on how to market, or sell your product or service, then this book has just paid for itself and probably more, as you will save money, and have some new ideas to make your business make more money for you, after you read it! You also get with this book a bonus section which includes over 101 of some of the biggest, and largest suppliers of general merchandise in the United States for just about any type of retail store. If you're thinking of opening any type of retail store, or already have one, you will want to see some of the wholesalers in this book! Chances are good you will save money with just one of the vendors you might end up doing business with. It contains names, what they sell, phone numbers, websites, and more! This book is a must read for any person that wants to make their life better by starting their own business working for themselves, or running your own retail business, and finding better suppliers, and cheaper prices! You will love this book and it will make you money and give you some great ideas! You can buy this for only $2.99 on Amazon’s kindle. The other books are some from the same author.